4k00:12A video of highland cattle. 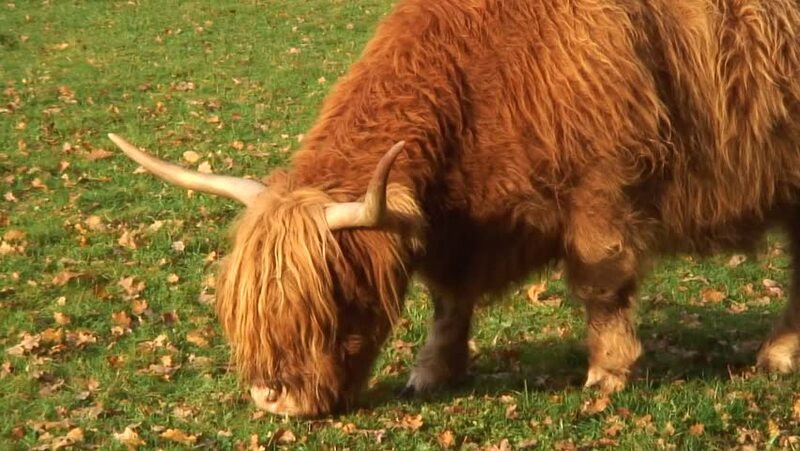 hd00:15Red Highland bull in Veluwe National Park - close up, Since the 1980s Highland cattle is used for natural grazing in Dutch Nature reserves. They eat plants which many other cattle avoid. hd00:14A male lion turns and looks at us on the plains of Africa.